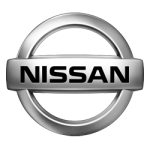 At LittleGreenCarLeasing we’ve got some fantastic car leasing deals for Nissan. Nissan cars tend to be efficient and keenly priced. You really get a lot of car for your money with Nissans. Nissans are known for their reliability and were the first to make this a standard. Nissans are now thought to be very stylish and increasingly make great looking cars. Many Nissans are built in UK, so it’s good to think you’re buying British.